Currently, the total retail market size in the top six retail markets of the country amounts to Rs 4,539 bn and this is projected to reach Rs.7,168 bn by 2019. Retail market in India is an amazing assortment of formats. With the changing time, the concept of shopping has gone through tremendous shifts in terms of format and consumer buying behaviour, ushering in a new era of modern retail across the country. With the development, augmentation and modernisation of infrastructure taking place at most major Indian cities, the scope of retail has increased manifold. Finally, we come to the latest retail wave where the e-tailing versus brick-and-mortar debate is not even relevant anymore; both have to be integrated seamlessly to create a satisfying shopping experience. This integration of experiencing the convenience of e-tail and brick-and-mortar is the third and the latest wave – known as omni-channel retailing. Today, a number of leading e-tailers have opened physical stores to showcase their products and service online customers. These stores will act as experience centres and will offer value-added services, such as trials, instant returns and product demos. On the other hand, a number of traditional brick-and-mortar players have gone online, either with their own websites or by tying up with already existing e-tailers, such as Amazon, Snapdeal, Jabong or Myntra. The figure is set to increase further in the coming years, as more retailers understand the importance of offering multiple touch points to consumers. Several brands are bringing technology into their physical stores, with kiosks to highlight their products and provide customer support. Some of these stores also allow customers to check the availability of a product across all brand outlets and order home delivery. Hence, an omni-channel strategy that is connected with consumers through various channels, such as physical stores, websites, mobile apps, social media, kiosks and many more, is striving to enable the consumer to shift between various media seamlessly during a consumer shopping journey. 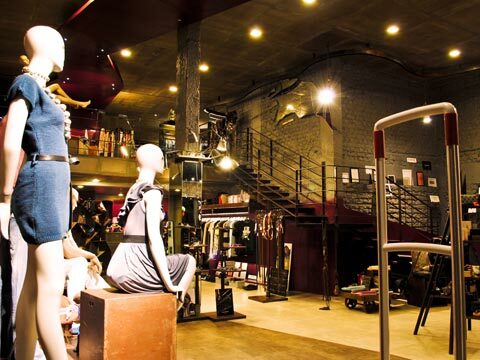 We believe that omni-channel retail is going to drive the growth of modern retail in India going forward. Although the share of modern retail penetration in the country is not flattering, there is still a lot to cheer as consumer spending patterns and increasing disposable income levels continue to evolve at a fast pace. There is ample dynamism at present, with a number of international brands entering the market. The existing brands are also working towards reinventing ways to keep up with the pace of growth in the sector. Nevertheless, there is a huge untapped potential for the growth of modern retail in the top six retail markets in India. Currently, the total retail market size in the top six retail markets of the country amounts to Rs. 4,539 bn and this is projected to reach Rs.7,168 bn by 2019. Out of the total retail spending in the top six retail markets of the country, modern retail amounts to Rs. 871 bn and this is projected to reach Rs.1,718 bn by 2019. The penetration of modern retail will also witness a substantial rise, from the current 19% to 24% in the next three years in the top six retail markets of the country, largely driven driven by the omni-channel way of retailing. MMR and Hyderabad have the lowest penetration of modern retail at 14% and 10%, respectively, despite having a sizeable consumer base.